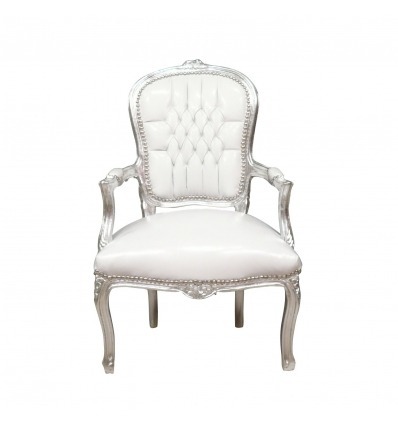 this baroque Louis XV armchair white is the ideal seat to bring comfort in your living room, made from ancestral know-how with a solid silver beech frame, whose assembly and assembly are handmade . An old-fashioned studded pvc fabric with easy-to-clean upholstery nails is used to coat the backrest, armrests and seat, which are padded with foam, for a comfortable seat. For your wish of comfortable and aesthetic seat, this louis 15 armchair with silver wood is ideal, it harmonizes in all the interiors to make them luxurious and elegant. It fits as well in a rich home of the time of louis xv, as in a contemporary decoration. Its baroque style and its beauty cross the centuries without ever being out of fashion. Once you get your hands on this exceptional piece of furniture, it's hard to do without it. 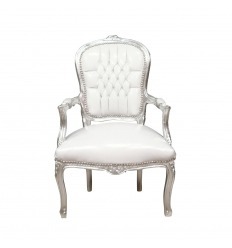 Whatever the style and design of your home decor, you can choose a Louis XV armchair that suits your wishes. The Louis XV seats are romantic seats, the best known of which are the bergère armchairs, the convertible armchairs or the marquise armchairs. 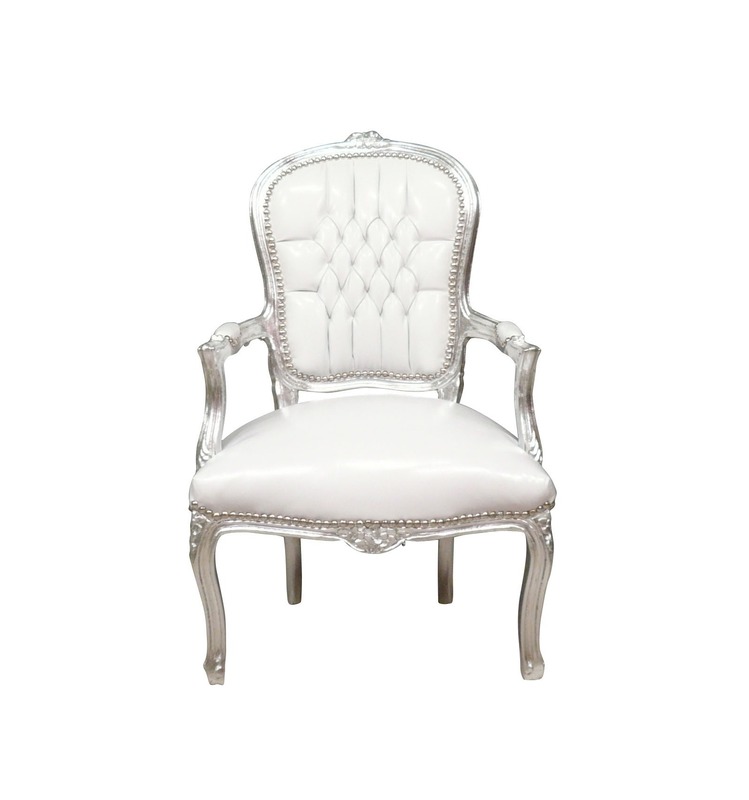 The baroque Louis XV armchair white and silver is one of them, and it is ideal for those who appreciate the taste and quality. To complete your living room, it is also possible to choose another seat from the same collection, such as a Louis XV sofa or a storage unit.